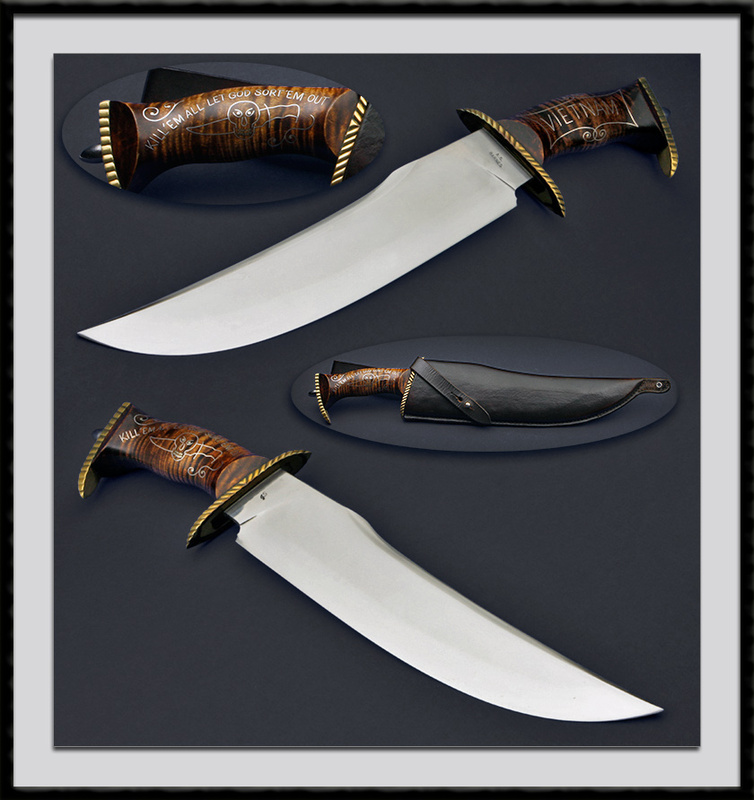 A. G. Barnes crafted this Art Bowie. Mirror polished forged blade, BL = 12", OAL = 18", Brass fittings, Ribbon Maple handle with silver wire inlays. Condition is Mint and comes with the custom scabbard pictured. This is a JS Bowie.